March is here and we’ve got a fun, colorful layout inspiration just for you. Spring blooms and feminine inspiration are sure to bring out your creativity! This is a scrapbookingstore.com exclusive layout created just for our subscribers by our designer. To begin, the floral printed side of the “Dame Two” paper is used as the background. Next, the paisley printed side of “Dame Seven” is cut into 2 thin strips as shown. Put these to the side for now. Then, the designer uses the “Hot Cocoa Two,” the printed side of “Dame Six,” and the plaid side of “ Dame Five” to create a layered look for the focus of the layout. The designer chooses to overlap these pages as shown. You can follow this inspiration or create a custom layering of your own. The designer uses the “I will ride, I will fly..” journal card from “Dame Seven” behind the photograph for a staggering look. This is such a great way to utilize journal cards. Then the cutout journal embellishment, along with the navy fleur, floral heart, and “beautiful inside and out” tag are placed onto the layout using 3D foam squares for a fun dimension look. 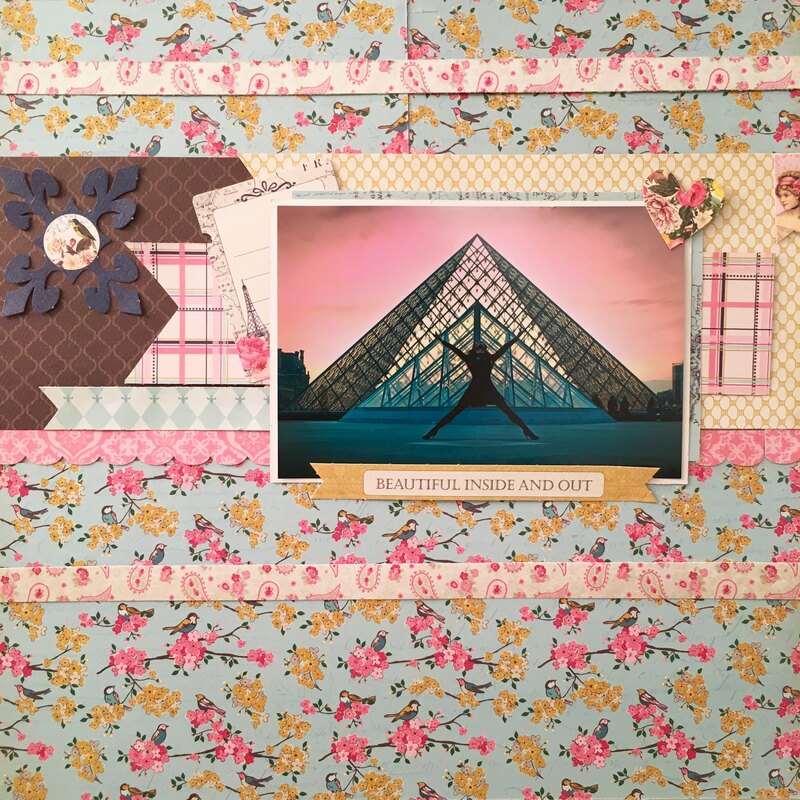 We hope this layout gets you inspired or serves as a start for your beautiful creations! 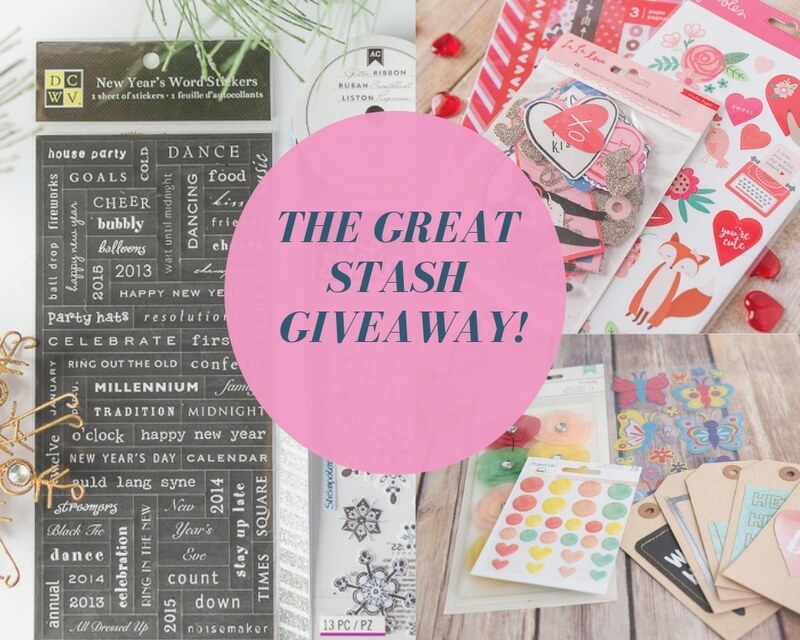 Share your crafts with us at www.facebook.com/scrapbookingstorecom, on Instagram @ScrapbookingStore, and on Pinterest https://www.pinterest.com/scrapbookingst/. Share with others using #scrapbookingstore on both Instagram and Facebook. We’d love to see what you’re up to! GET OUR MONTHLY KITS DELIVERED TO YOUR DOOR!